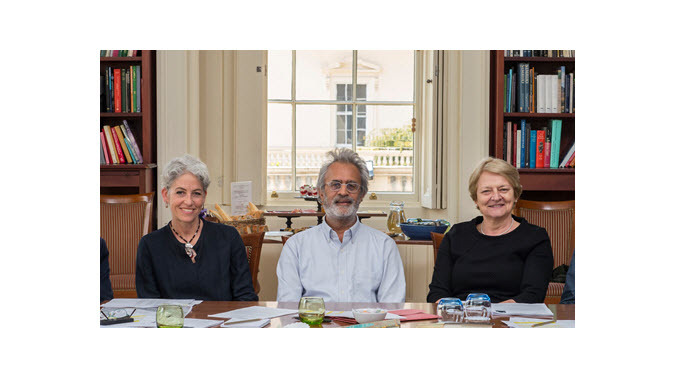 This morning (January 28) the British Academy’s 2019 Nayef Al-Rodhan Prize for Global Cultural Understanding is opening its 2019 award cycle to nominations with an event at the ZEE Jaipur Literature Festival. 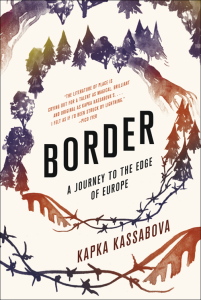 There, Kapka Kassabova—winner of the 2018 prize for Border: A Journey to the Edge of Europe (Graywolf, 2017)—will be in conversation with The Economist’s South Asia bureau chief, Max Rodenbeck. Authors may be of any nationality, based anywhere in the world, and working in any language provided that the nominated work is available in the English language. This is the prize founded and sponsored by Nayef Al-Rodhan, the international relations specialist and neuroscientist. It was first awarded in 2013. This year’s jury comprises the following–and “FBA” stands for Fellow of the British Academy. A shortlist of up to six titles is to be announced in September and the winner’s announcement is to follow in an event at the academy on October 30. In its commentary on Kassabova’s work, the jury rationale was particularly articulate, addressing the nature of the author’s work in a way that highlights its relevance to the alarming stresses of the contemporary political crisis. “When Kapka Kassabova was a child,” the statement reads, “the border zone between Bulgaria, Turkey and Greece was rumored to be an easier crossing point into the West than the Berlin Wall, so it swarmed with soldiers, spies and fugitives. On holidays close to the border on the Black Sea coast, she remembers playing on the beach, only miles from where an electrified fence bristled, its barbs pointing inwards toward the enemy: the holiday-makers, the potential escapees. “Today, this densely forested landscape is no longer heavily militarized, but it’s scarred by its past. “In Border, Kapka Kassabova sets out on a journey to meet the people of this triple border—Bulgarians, Turks, Greeks, and the latest wave of refugees fleeing conflict further afield. She discovers a region that has been shaped by the successive forces of history: by its own past migration crises, by communism, by two World wars, by the Ottoman Empire, and, older still, by the ancient legacy of myths and legends. The video below was produced by the program with its 2018 winner, Kapka Kassabova. More from Publishing Perspectives on the Nayef Al-Rodhan Prize is here, and more on awards in publishing is here.